You may have seen the Guardian’s two-pager on poverty and homelessness on 19 Nov. The New Economics Foundation’s (NEF) report ; Everyday Austerity; life at the end of the welfare state looks at the impact of the ConDems’ myriad benefit cuts in Haringey – and Birmingham. It details the local effects of cuts in tax credits, housing benefits, benefits for disabled people – and the horrendous prospect of more to come, with £28 billion to be stripped out of the national welfare budget by 2017. Haringey Citizen’sAdvice Bureau has estimated that the ‘benefits cap’ of £500 per week being introduced by the ConDems in April 2013 will hit around 1100 families in the borough, with 600 of them losing over £100 a week. There are now at least four food banks in Haringey, serving those hit by cuts and increasingly by the new sanctions regime which, since October, allows job centres to deny people benefits for up to three years if they offend against the very rigid jobseeker rules. Drastic effects of the limits on housing benefit/local housing allowance which were introduced in January this year, placing 6900 Haringey homes that were affordable for people claiming these benefits now out of their reach. 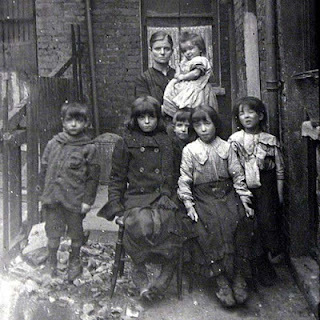 Up to 1100 families are expected to become homeless as a result –plus over 800 single people who are ineligible for local authority rehousing and are already cramming into church-run night shelters. A mounting personal debt crisis, with three and a half times as many applications for ‘crisis loans’ in 2009/10 compared to 2005/6. (The Social Fund which provided “crisis loans” will close and the responsibility for making them devolved to local councils in April 2013 – it’s not yet clear what Haringey will do about this). A huge overload for the Citizen’s Advice Bureau, which now sees queues from dawn onwards of people needing debt advice, help with appeals against benefit cuts and withdrawal of benefits due to sanctions and the much-criticised ATOS medical tests. (These tests have re-classified many disabled people – often inappropriately- as ‘fit for work’ in the worst job market for decades). All this comes as Paul Nicholson, of Taxpayers against Poverty (TAP), has begun a campaign against cuts in Council Tax Benefit (see earlier post on this blog and the Haringey Independent). From April 2013, central government money for this benefit will be reduced, and councils will have to either source more of its cost themselves, or devise their own local schemes at lower rates. Haringey’s consultation about this ended on November 19th, with TAP and many others arguing that it is both unjust and unrealistic to expect people already facing benefit cuts, to pay 20% of their council tax when previously all of it had been paid for them. Whilst rich councils like Westminster can afford to fill the gap and maintain CTB levels, Haringey cannot. Its main solution must be to lobby central government against the change with other similarly affected councils. Likewise London-wide is needed to secure more affordable housing and challenge Tory policies. Mayor Johnson recently announced that he would no longer fund any new social-rented housing. He said the 50,000 target for new ‘affordable’ homes over the next four years would mean rents at between 60 and 80% of the market rate – well above the levels that housing benefit will now pay. Unless Haringey acts with other councils to demand the reinstatement and increase of genuine ‘affordable homes’ targets, and to demand the reintroduction of rent control, low waged and disabled people will basically be driven out of London. The failure of other boroughs to provide sufficient low cost housing also impacts on Haringey. Families hit by the housing benefits cuts are moving to Haringey to escape high rents closer to the centre. Other boroughs are also renting private landlords' here for 'their' homeless - between June and September 2012, 258 homeless households were housed by other boroughs in Haringey, amongst them 27 'vulnerable' needing social work support, whilst Haringey council had to place 105 of its own homeless applicants out of the borough. With other London boroughs, by last month it was looking for homeless accommodation outside of London. But on affordable homes, Haringey’s own policies need a re-think. The new “Plan for Tottenham” with its promise to increase the proportion of owner-occupied housing in Tottenham and restrict conversion of existing buildings to bedsits (“HMOs” or “houses in multiple occupation”) makes one wonder where more badly needed low-cost housing is going to come from. 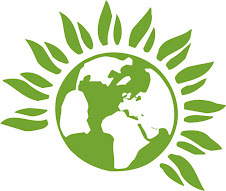 We need some Green Councillors to stand up for the low-paid, disabled and unemployed people of Tottenham, to secure adequate housing for them, more jobs and a London living wage level.